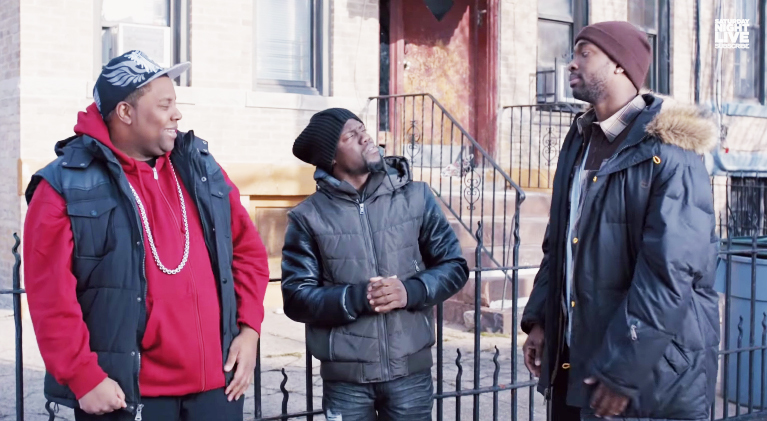 If you tuned in to SNL this past Saturday, you probably saw this hilarious sketch featuring Kevin Hart, Kenan Thompson and Jay Pharoah spoofing life in hipster-laden Bushwick. The trio are huddled on a street corner talking about all the “crazy things” they’ve been doing over the last week. SNL uses the opportunity to poke fun at everything that’s gone granola in the ‘hood, from handmade dog sweaters to the $8 artisanal mayonnaises that now dominate the area’s once crime-ridden streets.